This island/billiard will update your home with its eye-catching design. 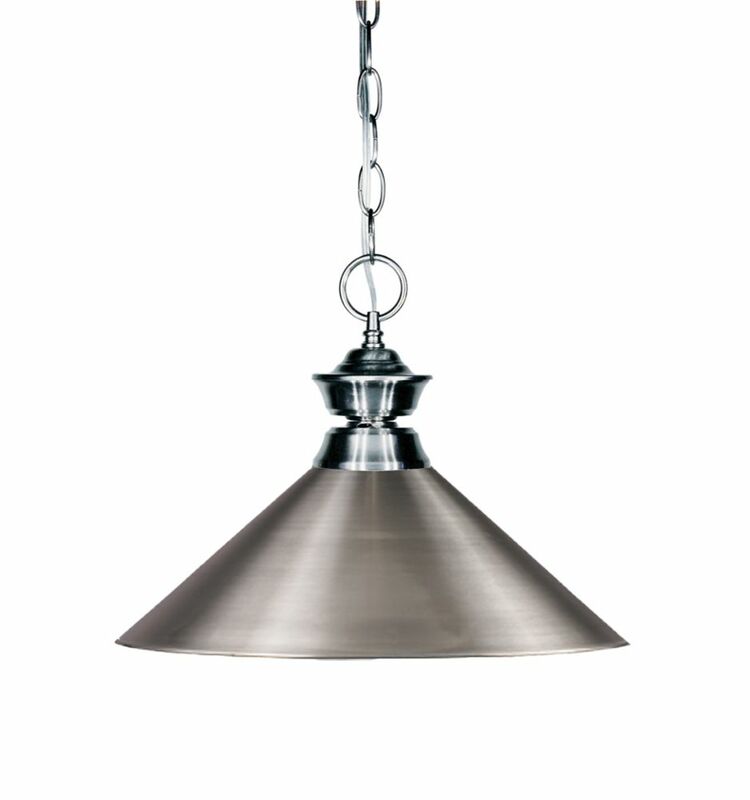 Featuring a gun metal finish and brushed nickel shade(s), this fixture will accommodate a variety of dicor styles. With its easy installation and low upkeep requirements, this island/billiard will not disappoint. The GUNNAR pendant features a two tone finish in grey and brushed nickel.This contemporary fixture has many decorative elements such as the open metal cage as well as the painted white interior. This is perfect for the kitchen island, bedrooms as well as many other commercial applications. Brookside fixtures are reminiscent of rustic farmhouses and a simpler lifestyle. Oversized shades control glare and casts a wide light pattern for superb exterior illumination. 1-Light Gun Metal Pendant with Brushed Nickel Steel Shade - 14.25 inch This island/billiard will update your home with its eye-catching design. Featuring a gun metal finish and brushed nickel shade(s), this fixture will accommodate a variety of dicor styles. With its easy installation and low upkeep requirements, this island/billiard will not disappoint.